Snoring and obstructive sleep apnea syndrome are common sleep disorders caused by the collapse of the upper airways. A study published by the British Medical Journal (2/4/06) shows that regular didgeridoo playing strengthens the muscle at the back of the throat and reduces snoring, sleep apnea episodes and daytime sleepiness. 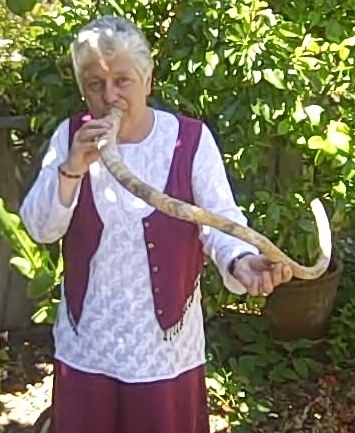 Experts in Switzerland tested the theory that training the upper airways by didgeridoo playing can improve these disorders. They identified 25 patients with moderate obstructive sleep apnea syndrome who complained about snoring. Patients were randomly allocated to an intervention group (didgeridoo lessons and daily practice at home for four months) or a control group (remained on a waiting list for lessons). Compared with the control group, daytime sleepiness and sleep apnea scores improved significantly in the didgeridoo group. Authors of the study concluded that regular training of the upper airways by didgeridoo playing reduces daytime sleepiness and snoring in people with moderate obstructive sleep apnea syndrome and also improves the sleep quality of partners. Over my years of teaching didgeridoo, I have been encouraged by how much didgeridoo playing can halt the otherwise inexorable drive towards more and more medication for both asthma and COPD. Because of these successful interventions in asthma with students, I became interested in new discoveries in the field of non-pharmaceutical approaches to asthma. What I found was that very little is being done in that regard and that the vast majority of interventions are instead pharmaceutical interventions. If you suffer from one of the pulmonary diseases, it may help to think beyond the physical symptoms to the psychological and spiritual components of not being able to get a good breath. We are talking about a primal feeling about life and death and having what you need from your body and the universe versus feeling constantly deprived and betrayed by your body and the universe. What if you knew how to calm your breathing, to feel abundance and receive more oxygen instead of sliding down the slippery slope of fear and deprivation each time an attack approached? If self-care were taught as one of the tools you need to manage your disease, even if you are not cured, you could reduce the medication and the side-effects of the medication. You could, instead, enjoy the side-effects of playing didgeridoo—a calming, relaxing effect, a way for your body to rest and digest, and produce a feeling living in an abundant universe. You can look to playing didgeridoo as such a resource.